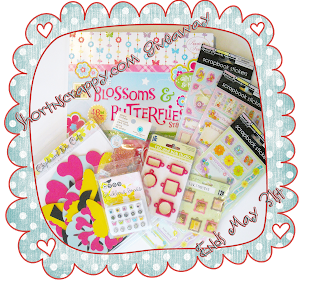 I am having a fabulous giveaway this month. To get in on this giveaway and earn lots of chances to win click HERE or on the image below. Good Luck and Happy Scrappin'! I am looking forward to your blog hop! I think it is gonna be great! It's SO nice to be here and discover your blog! I would LOVE to join your blog hop if you'd be so kind! I'm your newest follower and I hope you'll be mine!